BedRock-The Band in the Sand - MP3's. 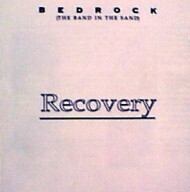 "Recovery" - BedRock's LATEST CD released on the 29th of June 2001. For purchasing details please visit our Merchandise Page.